Democrats in the House of Representatives have wasted no time announcing plans to scrutinize the manner in which food is regulated and to consider whether changes are needed. The $64,000 question is whether this activity will go beyond the talking phase. Assuming all sides behave rationally, the new Congress will seek some political advantage from recent food contamination incidents. We almost certainly will have hearings that explore whether the Bush administration has failed to police the food industry. Longtime food industry critics can be expected to play a role. But any actual new legislation should be adopted only if the idea of food regulatory reform captures the public's attention. A rational Congress will not overplay its hand. And President Bush, of course, will exercise veto authority consistent with his own political interests. 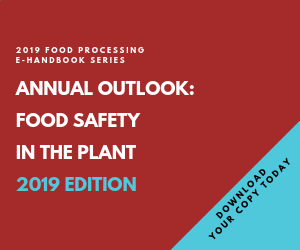 The public's appetite for regulatory reform will depend on whether food safety incidents continue to occur and to attract attention in the media. The E. coli outbreak from fresh spinach this past fall received a very significant amount of press coverage. With the news media now sensitized to food safety, outbreaks that may have gone unreported in the past may be covered in great detail. Bear in mind that in a typical year, the Centers for Disease Control receives reports of more than 1,000 outbreaks of foodborne disease (defined as two or more cases of a similar illness resulting from the ingestion of a common food). One sign of heightened interest in food safety is the feature on chicken safety in the January issue of Consumer Reports. The magazine reports finding campylobacter or salmonella on 83 percent of fresh chickens tested. Performance-based standards for reduction of contaminants in raw meat, poultry, and other high-risk foods. The food industry would naturally oppose most if not all aspects of this bill. Creation of a single food agency has been discussed for many years with no support from the food industry. The industry's view is that the current food regulatory infrastructure is not at all broken, so why go to the trouble of creating something new and very different? The new bureaucracy would undergo a painful birthing process that would probably rival creation of the Dept. of Homeland Security. In addition to food safety and a single food agency, Congress may devote some attention to dietary supplements and functional foods. At the time of this writing, the old Congress has just adopted a bill requiring adverse event reporting for dietary supplements. If signed by the president, this will require manufacturers of dietary supplements to pass along adverse event reports to FDA. Senator Richard Durbin was instrumental in passage of this bill, and he remains very interested in oversight of the dietary supplement industry. Along with death and taxes, this is certain: Anytime public confidence in food safety is seriously rattled, Congress will step in and make changes, for better or for worse and probably for worse. The best thing the food industry can do to guard against this is to maintain the public's confidence in food safety.